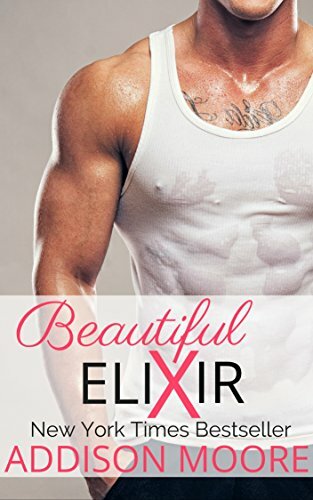 All I wanted was something quick and dirty for the summer—and it was Ace who made my mouth water.The rules: no strings, no expectations, just something hotter than the sun to set the sheets on fire. Ace Waterman has worked for everything he has, and he doesn't have a lot. He breaks his back doing grunt work while putting himself through college. He's used to life passing him by.Reese has loved Ace from afar for as long as she can remember. The summer of her freshman year she comes home with plans to land Ace in her bed at least for a few short weeks, and, if she's lucky, forever.Ace has loved Reese for as long as he can remember, but their friendship has never graduated beyond platonic, so when Reese comes home from her first year away and proposes the two of them have a summer fling, Ace is quick to comply. The rules: no strings, no expectations, just something hotter than the sun to set the sheets on fire.But when their worlds collide, and neither of them is willing to admit to having true feelings, it becomes clear to Ace he's nothing more than a dirty little secret--that the summer fling was just something meaningless to pass the time. Reese wonders if she can ever stop trying to please her father, and it's only through her mother's letters that she finds the answers she truly seeks, but will they be the ones she wants to hear?As summer draws to a close, Ace and Reese are still very much enraptured even though the time has come to douse the flame and move on—but neither one of them is prepared to leave this BEAUTIFUL OBLIVION. Ace Waterman has worked for everything he has, and he doesn't have a lot. He breaks his back doing grunt work while putting himself through college. He's used to life passing him by.Reese has loved Ace from afar for as long as she can remember. The summer of her freshman year she comes home with plans to land Ace in her bed at least for a few short weeks, and, if she's lucky, forever.Ace has loved Reese for as long as he can remember, but their friendship has never graduated beyond platonic, so when Reese comes home from her first year away and proposes the two of them have a summer fling, Ace is quick to comply. 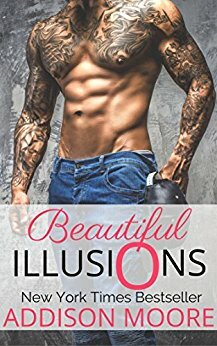 The rules: no strings, no expectations, just something hotter than the sun to set the sheets on fire.But when their worlds collide, and neither of them is willing to admit to having true feelings, it becomes clear to Ace he's nothing more than a dirty little secret–that the summer fling was just something meaningless to pass the time.